This is a longer day tour driving to the southern end of Sri Lanka. Therefore we have to depart early and come back late. We will pick you from the hotel in Negombo at 07:00 am. At about 11:00 am we will arrive in Galle. Galle is the best example of a fortified city built by Europeans in south and southeast Asia, showing the interaction between European architectural styles and south Asian traditions. 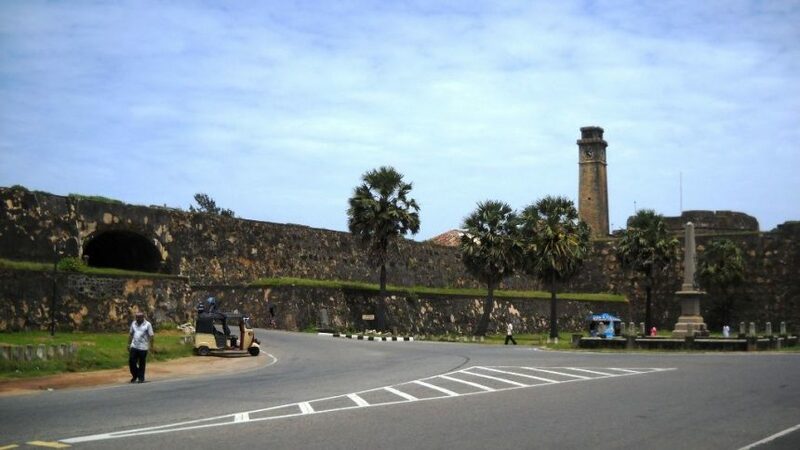 The Galle fort is a world heritage site and the largest remaining fortress in Asia built by European occupiers. We will do sight seeing the city, visit the Dutch fort, the Galle Museum, a old Dutch church and the British church. We proceed and see the stick Fishermen sit on sticks while fishing in the traditional way. After a 2 or 3 hrs in Galle we proceed to Hikkaduwa. Hikkaduwa is a small town on the south coast of Sri Lanka. It is located in the Southern Province, about 20 km north-west of Galle. We go with a glass bottom boat and watch the corals, if you like it you can go snorkeling, after that we will have a boat trip at the Maduganga River in balapltiya with his famous 68 islands. After a 2 or 3 hrs in Hikkaduwa we will proceed via Beruwela and Colombo back to the hotel in Negombo, where we will arrive at about 7:30 pm.